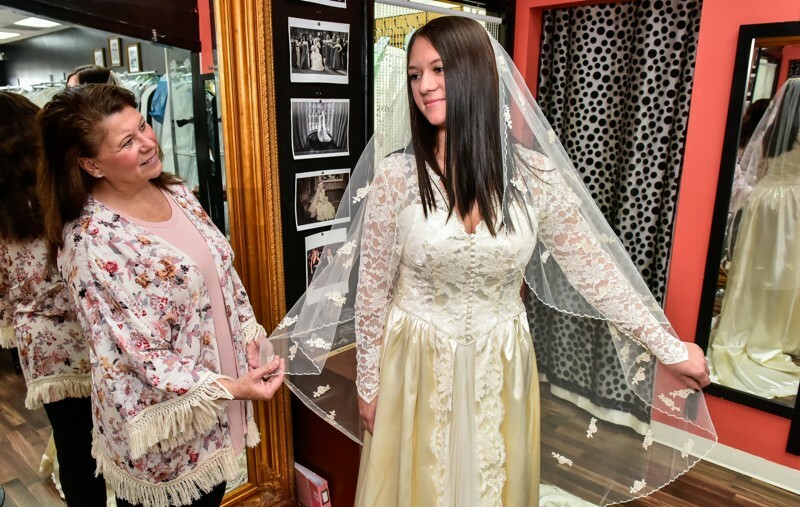 Not only is Jordan Mitterholzer changing her name to Jordan Delgado when she gets married Saturday, but the business that altered her wedding dress — the same dress worn by her mother and grandmother — needs to change names, too. Twice Blessed Bridal should be called Third Time Threads. 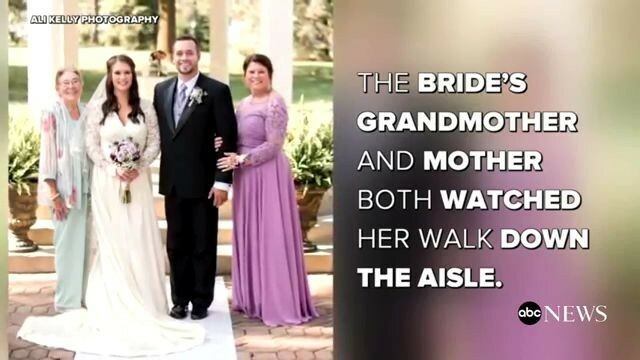 That’s because Mitterholzer, 23, of Dayton, will wear the same dress — with a few alterations, of course — that her grandmother, Jean Beckdahl, 87, wore on April 18, 1953 when she married Walter Beckdahl in Mansfield and her mother, Lynn Mitterholzer, 57, wore on Sept. 19, 1981 when she married Doug Mitterholzer in Springfield. Her grandmother lives in Springfield and mother lives in Springboro and both will be at her wedding. Their marriages have lasted a combined 99 years. And when Doug and Lynn Mitterholzer celebrate their 36th wedding anniversary this week, it will be an even century of marriage for the mother and grandmother. Jordan Mitterholzer hopes their wedding dress still has luck and charm remaining in its fabric. And because the dress is 64 years old, it took the women several attempts to locate a bridal shop willing to perform the necessary alterations. Its age was one reason. “They wouldn’t touch it,” Lynn Mitterholzer said of most of the shops. Young Daley, a native of Seoul, Korea, owner of Twice Blessed and bridal seamstress, called altering the dress “a very special project.” She lowered the collar, removed the shoulder pads, let out the sides and added lace to the train. With some scissors, thread and imagination, Daley made the vintage dress look modern. Turned 1950 to 2017. When Lynn Mitterholzer got married nearly 36 years ago, she wanted to wear her mother’s wedding dress. In fact, she never shopped for a dress. As soon as Jordan got engaged to Patrick Delgado, she too had her wedding dress picked out. There was no need to spend her Saturdays with her mother and friends shopping for the perfect dress. It was hanging in the closet. Jordan looked in the mirror as her mother adjusted the back of the dress. Her mind flashed back to when her mother stood in her shoes. After the wedding, Jordan will change out of her wedding dress into a reception dress. They didn’t have those in the 1950s. The dress won’t be the only historical part of the wedding ceremony. Jordan’s grandfather Otto Mitterholzer, who owns the 1951 Oldsmobile that has been in the family since Jordan’s great-grandfather Rudolph Mitterholzer purchased it new, will drive the newlyweds to their reception. “A very special day,” Jordan Mitterholzer said.